WEST LAFAYETTE, Ind. — Purdue University’s West Lafayette campus will become smoke free except in limited areas beginning July 1, 2009. The new policy will confine smoking to limited designated campus areas and will prohibit smoking in all vehicles owned or leased by Purdue. Until the new policy takes effect, smoking on the West Lafayette campus will be allowed outdoors at a distance of at least 30 feet from university facilities and in designated areas within the Union Club Hotel. The Purdue West Lafayette campus will become smoke free except in limited areas beginning July 1, 2009. The campus-wide smoking policy was announced Thursday (Nov 19) – coinciding with the 33rd annual Great American Smokeout – following input from faculty, staff and students. “Following feedback from a campus-wide survey as well as meetings with several campus groups, we modified the proposed policy from one that called for a total ban to one that will allow smoking in a few areas,” said Al Diaz, executive vice president for business and finance, treasurer. The responsibility for choosing those areas will fall to Diaz. A number of health problems, such as heart disease, cancer and respiratory problems, have been linked to smoking as well as to secondhand smoke. Smoking by faculty and staff also leads to increased medical costs, higher insurance rates, maintenance expenses, lower productivity and higher absenteeism, Diaz said. “We set the start date as July 1 to give everyone ample opportunity to take advantage of our smoking cessation programs,” Diaz said. The programs are available through the Student Wellness Office and WorkLife Programs. “We are counting on cooperation from our smokers,” Diaz said. “Initially, we hope that peer-to-peer reminders will be effective. The new policy will be enforced in the same way as other university rules, and violators can be subject to appropriate discipline by supervisors and the Office of the Dean of Students. Individuals can report violations using the Smoke Free Campus Concern Form that will be provided on the Web. More than 300 universities nationwide are smoke free. All Purdue regional campuses have non-smoking policies. Details for each are set by administrators at those locations. concludes that “The results do not support a causal relation between environmental tobacco smoke and tobacco related mortality. 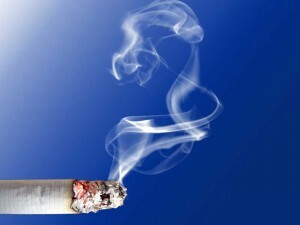 The association between exposure to environmental tobacco smoke and coronary heart disease and lung cancer are considerably weaker than generally believed.” What makes this study so significant is that it took place over a 39 year period, and studied the results of non-smokers who lived with smokers….. Passive smoking doesn’t cause cancer-official By Victoria Macdonald, Health Correspondent ” The results are consistent with their being no additional risk for a person living or working with a smoker and could be consistent with passive smoke having a protective effect against lung cancer. The summary, seen by The Telegraph, also states: ‘There was no association between lung cancer risk and ETS exposure during childhood.’ ” And if lawmakers need additional real world data to further highlight the need to eliminate these onerous and arbitrary laws, air quality testing by Johns Hopkins University proves that secondhand smoke is up to 25,000 times SAFER than occupational (OSHA) workplace regulations.